Want a FREE new A rated boiler? Under the 2019 Government ECO Scheme you may be eligible. if you qualify within minutes! Our team here at New Boiler Grant will make all arrangements for you so a qualified engineer can proceed with the install. The UK government’s Energy Company Obligation Scheme (ECO) was introduced to help vulnerable homeowners across England, Scotland and Wales with the reduction of their energy bills. The New Boiler Grant team have been focused on ECO since it started in 2013. This website offers the latest ECO3 grant funding that was launched on 1st October 2018. 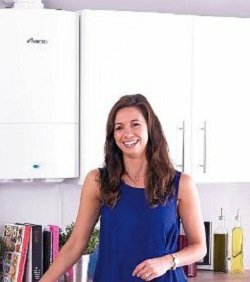 At New Boiler Grant we are able to show you how to get a free boiler within the mainland and islands of England, Scotland and Wales. If you receive one of the newly expanded qualifying benefits and your boiler is over 5 years old, you may already be entitled to a brand-new A-rated boiler grant. The free boiler grants are funded by UK energy companies and don't need to be repaid. See if you qualify now. What is the ‘Free Boiler Scheme’ ? The free boiler scheme is an initiative to reduce the UK's energy consumption by offering grant boilers to homes across England, Scotland and Wales. It provides grants to vulnerable households in order to help them improve the energy efficiency of their homes. If you have a Gas, Oil, or LPG boiler that is over 5 years old and you meet the benefits criteria then you can apply for a free boiler grant. In 2012, the parliament of the UK approved the Energy Company Obligation (ECO). With the total budget increasing to £1.3 billion this year, the scheme is funded by the largest UK utility companies. Energy Company Obligation (ECO) is made up of 3 obligations, Affordable Warmth, Carbon Saving Community Obligation and The Carbon Saving Obligation. 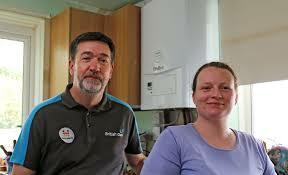 Funding for the free boiler scheme 2019 is part of the Affordable Warmth Obligation. The Affordable Warmth Obligation is also known as the Home Heat Cost Reduction Obligation (HHCRO). As well as helping vulnerable people reduce their fuel consumption, it provides free boiler replacement and insulation grants to private homeowners in England, Scotland and Wales. HHCRO reduces fuel poverty amongst vulnerable and low-income households by ensuring that heat is generated as efficiently as possible and is prevented from escaping from the home. Good news - from the 1st October 2018, ECO3 was launched and removed the caps on household income making it much easier to qualify for FREE Boiler Grants 2019. In fact, as long as you are in receipt of certain benefits then the application is very simple. Your property must be of a size and structure which is able to create sufficient savings from a boiler replacement. Also, the size of the grant depends on the type of the property you have and the number of bedrooms, and the fuel currently being used to heat your home. In many cases the grant will cover the cost of a new boiler in full. Please note: If you have received a grant boiler in the past then the scheme cannot provide you with another one. A new A-rated and installed boiler can cost c.£1.5 - 4.5k. But with the ECO grant you can receive one for free, or with a contribution. Click below to find out more. Do I qualify for a boiler grant? I receive a qualifying benefit. I have a boiler over 5 years old. My home is heated by Gas, Oil or LPG. I am a Homeowner and live in the property where I need the new boiler. I haven't previously claimed for a grant boiler. After you qualify, you will be referred to one of our authorised local installers. The installer will arrange a suitable date and time to proceed with your boiler replacement. The procedure was stress free and the boiler was fit to an excellent standard. Would highly recommend this service to all. Almost immediately after completing the online form I was contacted by one of the team and passed onto a local installer who fit my boiler within 2 weeks’ time. Hassle free process had a fabulous new boiler fitted with the help of New Boiler Grant. Simple process. Filled out form online and almost immediately after engineer contacted me and arranged appointment to fit new boiler. Thanks to New Boiler Grant I finally have a new A rated boiler fitted which I am very happy with! How "Free Boiler Grant" works ? Why replace your old boiler? Replacing your old boiler is definitely a worthwhile choice. Not only can you replace it for free but you can also save on your fuel bills year after year, and help the environment. According to the Energy Saving Trust, heating accounts for around 60% of the annual cost of our energy bills. 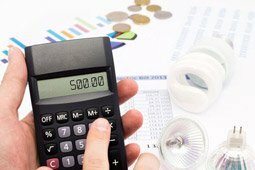 So, having an efficient boiler really can save you a large amount each year! Condensing boilers are designed to capture heat which is released during the combustion process through flue systems. These boilers are more efficient as they require less energy to generate the same amount of heat as conventional boilers. The new boiler installation can also help to reduce the carbon footprint of your home. Less energy consumption will mean that your bills are also less. With energy bills becoming higher than ever, it is important your home is being heated at the lowest possible cost by your boiler. Could you get a FREE replacement boiler? Click the ‘Apply Now’ button below. Since 2013, the New Boiler Grant team has helped tens of thousands of people to gain an ECO grant and a new boiler installation. We are very proud of this success and are keen to support you today. From the minute you apply to us and are contacted by our friendly UK-based team, you will know that you are in good hands. Our whole focus is to put you at your ease, and deliver the right boiler grant and installation for you. Apply now for your FREE replacement boiler! Free Boiler Grants are available across England, Scotland and Wales. Apply here and you'll be referred to an approved installer in your local area. Despite high demand, we can refer your application to an installer within 24 hours in the majority of cases.